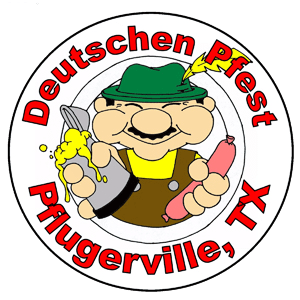 Get ready for Pflugerville’s most popular festival, the Deutschen Pfest, held at Pfluger Park on Friday, May 15 through Sunday, May 17. This annual event is always packed with family fun featuring children’s games, shopping booths, a parade, live music and a 5K fun run. Update: The carnival has been cancelled due to rain. For schedule updates, please visit the Pflugerville Facebook page. Children’s Area on the east gate all afternoon: puppet shows, petting farm and bounce houses! Gilleland Pool will be open for free on Saturday! — Admission: $5 Friday, $7 Saturday, $5 Sunday. Children 6 and under are free. You can also buy a daily carnival wristband for unlimited rides for $20. — Parking information: You can take a free shuttle from Pflugerville High School or Brookhollow Elementary. There will be limited handicap parking at Pfluger Park. — More info: Click here for a festival map. 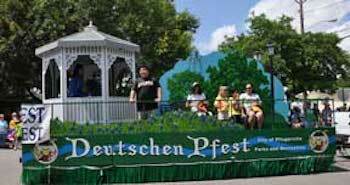 You can also visit the Deutschen Pfest website, and download the Pflugerville Pfone App to have all of the up-to-date Deutschen Pfest information.